After the walking tour you take the train to Engelberg and board the aerial cablecars to the summit of Mt. 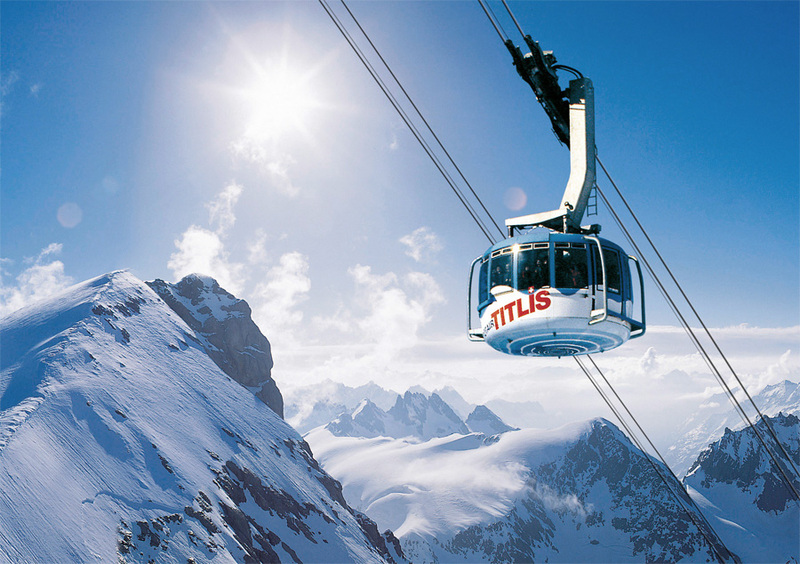 Titlis, 10'000 feet. A spectacular glacier, an icy glacier cave, a crazy glacier park in the perpetual ice, the chair lift ICE Flyer over the crevasses, the first revolving cable car of the world, the highest suspension bridge in Europe, several theme walks and Devil- / Trotti- and Monster bikes... that’s what you can expect on your trip to the highest excursion mountain of Central Switzerland. Return to Lucerne by train.